New to the sport of Triathlon and Cycling – doing what I can without a coach, in reality I'm coached with a little help from my friends. More of an informally coached athelete. So this past weekend I raced the Valley of the Sun Stage Race, a 20 km time trial, 46 mile road race, and a 30 min criterium. (note these are for the mens cat 4). This race featured national level teams in the mens and women’s pro categories as well as Junior and hand cycle categories. My understanding is this is considered a “national level race”. So the TT was on the far side of Phoenix and I stayed up there for the night, I had a 10:30 start time on a Friday so traffic to get from Tucson to the site could have me on the road for more then 4 hours and to get there with enough time to warm up… yea worth it to stay. Warming up is key for me and a time trial and I really felt I spent enough time, did the right things, got to the start at the right time. SO roll out of the start, get a feel for the wind, for the pace… head wind on the way out, level profile for the most part. So tried to hold 4.3 – 4.5 heart rate zone on the way out. Felt fairly good… first rider passes me, you could hear the carbon wheel and the disc coming, vroom vroom. Pick up the pace hold some draft for a moment, and he was gone. Getting close to the turn and the next 30 second person comes by. Make the turn and now raise the power, catch the tail wind and go. Thought it was going well. Got to the end, and looked at the time. Not as good as I would like, was disappointed. Looked at the results that night and 5th from last, well that isn’t good. Next morning eat early, drink a small CRAPPY cup of coffee and head out in the fog to the start. 46 miles should be good, mostly rolling profile with one climb, its a looping course, 3 laps hit the hill three times, second time is a KOM. Stick with the plan, stay in the pack, don’t work EVER, empty the tank on the last climb and try to move up. Warm up before the start make sure the ‘pipes’ are open. Start the race, sitting in group, all is good, right in the middle, out of the wind, let others work. Get these old legs warming up. First time up the hill, holding on, couple people dropping off the end, shoot now I am the end, hold on, dig deep… drop off right before the top. Come over the top, there is a gap, this is not good, give it everything, get back on. Hold on, hold on… recover, make the bottom corner, into the head wind and pop the group surges, I try and I am off. Now I am nose in the wind, get low, settle in, pace, start driving. Make the corner at the base of the hill, losing contact, but riders are falling off. Pick one, drive the legs, try to catch, sit on his wheel, recover, go around, look for the next one, steady on. You catch another, now there are three of us, no one else looks catchable at this point. Top out, ride together, work on a rotation, take a pull nose in the wind. Start to lag of the pace, next one up, and so we go, two resting one driving. Get to the final hill, at least the next category group hasn’t caught us yet, start up the hill, and now a pair starts to come from behind, looking at the numbers as they go by, it is the head of the next cat. Try to pace of them, take a pull that is too long, next rotation and I’m struggling to hold on, crap here we go again. Dig deep but the tank is empty, start to recover pulling them back, pulling back. There is the finish line, try to hammer for it, can you at least catch them by the end. Nope. Not worth going up for the crit race the next day, on a good day I lack the surge to crit and I am not feeling a good day is coming. So after not going to the gym for a couple of weeks, I hit the weights again. Being who I am I didn’t really reset the weights to a lower mass, all in right? It was gratifying to see that the strength was mostly still there. The number of reps wasn’t really all that changed which felt good. By the end of the Maximum Overload workout the legs were feeling more fatigued then I was used to. The other thing I noticed was that the polymetric type of exercises that I have been trying to end on, box jumps, step ups and step overs were certainly lacking the snap of the past. That is ok, after all I have been sick and not on my legs like usual. Finished up on the treadmill just to run on really tired and peaked legs, ouch not sure how good an idea that was. The next day it was time to dig deep and really try to destroy myself in spin class. I use spin class to get a random mix of interval types in one session. Usually there are sprints with load with short respites, I try to treat these like over/unders. Dig really deep on the short sprints and take just enough of the edge off in the in-betweens to make sure my recovery is incomplete. Then some steady state climbs. The instructor guidance is usually for steady effort for the whole set, but I usually try to break these into two parts, high cadence high power climbing for half and then really load on the load and grind. I am spent at the end but also started with a real feeling of muscle soreness (not pain, just deep usage kind of fatigue from yesterday). Was already starting to tighten up that night and tried to roll it out. Next day was taking T to riding and bringing my bike for some time on Freeman, a steady hill on the east side of town. Steady state/ tempo riding was in the plan. 15 min of steady climbing and then an easy spin down. 3 x and the tank was empty, 20 min or so of easy spinning to cool down and pump out the legs. So I have a friend, a really good friend, and he has started to train again. Train again with me. We are trying to ride together consistently, and it is challenging because of life schedules and that we are not near the same fitness level at the moment. However, training with him is good for my soul. We have been riding Mt. Lemmon and for now we ride like this. I ride up to him and check in, then continue up to that overlook again. Repeat until we are both at that overlook, then start the same thing to the next one. Over and over until one of us is done. I like this riding because it lets us both ride where we are fitness wise right now, stay close enough that we don’t lose touch in case one person has a mechanical or some other issue. AAA now provides bikes with the same roadside service as automobiles. Spend any amount of time on a bike, and it’s bound to happen—you get a second flat tire when you only packed one spare tube, that chain you’ve been meaning to replace “eventually” finally snaps, or a random-but-important bolt dislodges and disappears. If you’re lucky, this mishap will occur within walking distance of your home or bike shop—but because the Endurance Gods have a wicked sense of humor, you’ll more likely be stranded miles from anyone or anything. Yesterday was a hard day, had to adjust ride plan a little, legs empty, motor not running on a full tank. Hydration levels impacted from yesterday, soft pedals needed to flush the legs. Ride with Eric, lots of chatting, never push the pace, spin the legs. Flush. Head to A mountain, never ridden this, keep spinning, open the gap, not pushing, but spinning, ever upward. 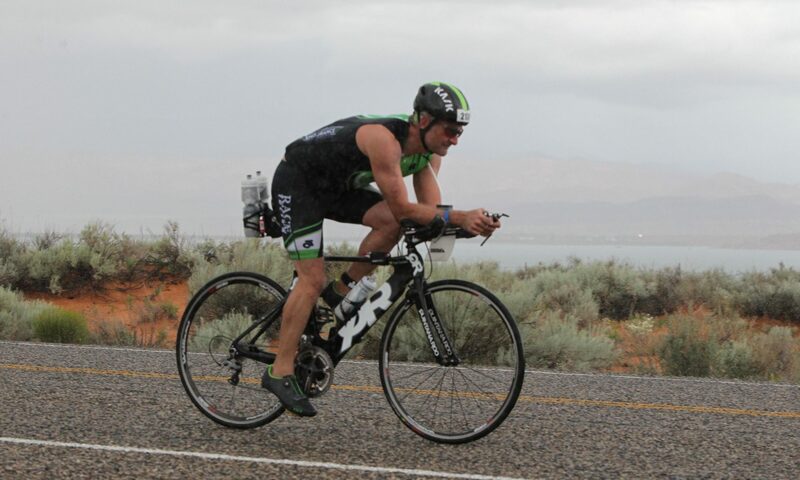 Feel the lead come out of the legs, pedal a little harder, keep the heart rate low. Dude in Italian kit and no helmet spins past me. Nope, time to spin the legs with a bit more pressure, ignore the heart rate. Pip him at the top. 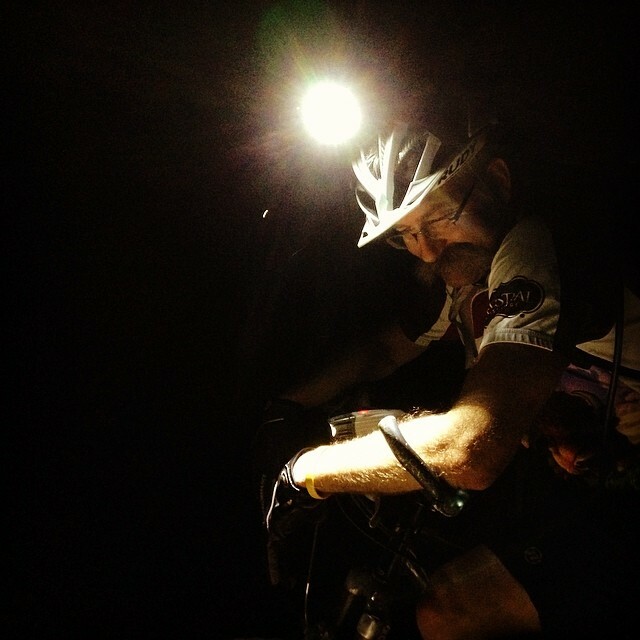 Roll down to the juncture and head back up to catch Eric on his time up… feeling nice, amazing views. Roll gently back home, talking, pedaling and slowly open a gap again… oops, soft pedal more.